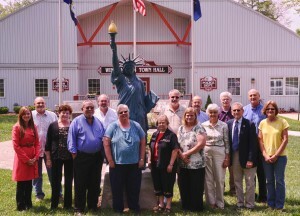 Winona Lake Town Coordinator Craig Allebach presided over a ceremony that recognized the individuals responsible for donating and installing a Statue of Liberty replica that was placed at the site of the Timeline of Liberty in front of the Winona Lake Town Hall, 1310 Park Ave., Winona Lake. Gary and Karen Hill, the donors of the Statue of Liberty, were recognized as well as Dr. Dane and Mary Louise Miller, donors of the Timeline of Liberty. 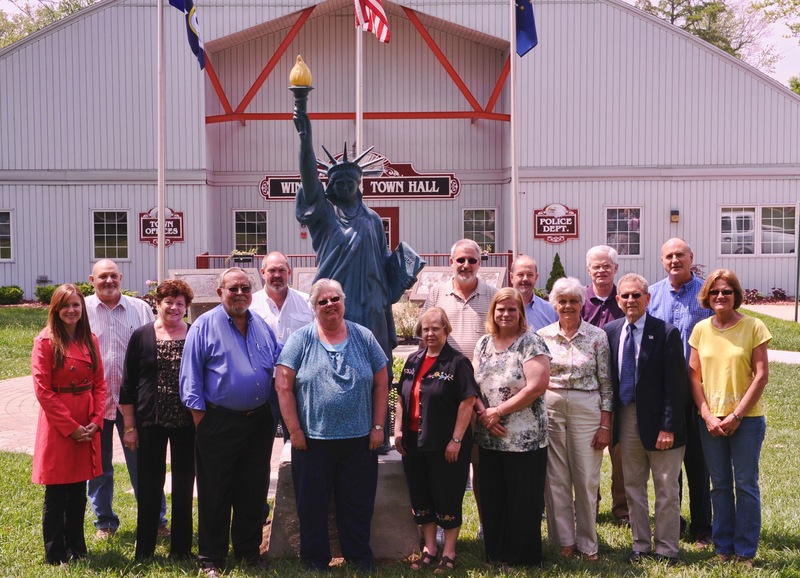 As a result of these individuals contributions to the Town of Winona Lake the installation of the statue was completed. Also recognized was the Director of the Village at Winona, Mallory Helper; and Ken Nisly, Works Director for Winona Restoration. Nisly was also responsible for installation of the pedestal that the statue sits on. Winona Lake Street Superintendent Pete O’Connell and street department personnel were also recognized for their coordination of the installation and improvement of the grounds where the statue is place. Other Winona Lake personnel also recognized were Holly Hummitch, Park Director and Cindy Nolton, Deputy Clerk-Treasurer.